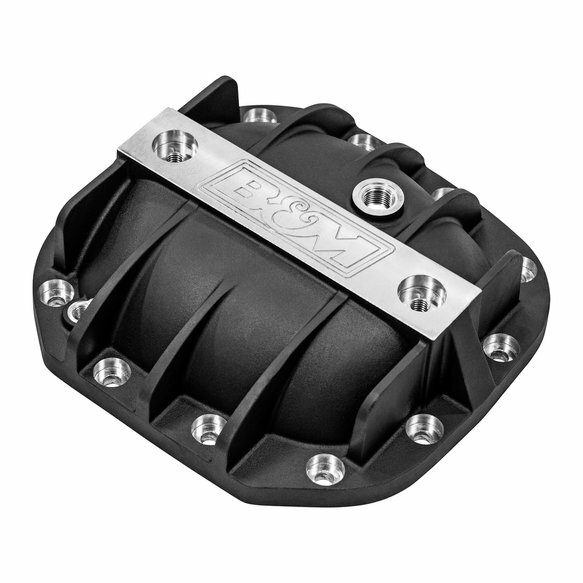 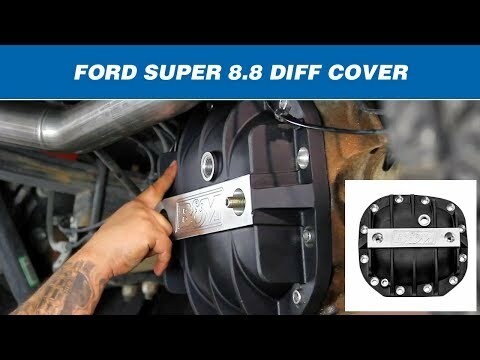 B&M Hi-Tek Differential Covers for the Ford Super 8.8 inch are constructed of A356-T6 aluminum and feature large vertical fins to strengthen and aid in cooling over the factory stock units. 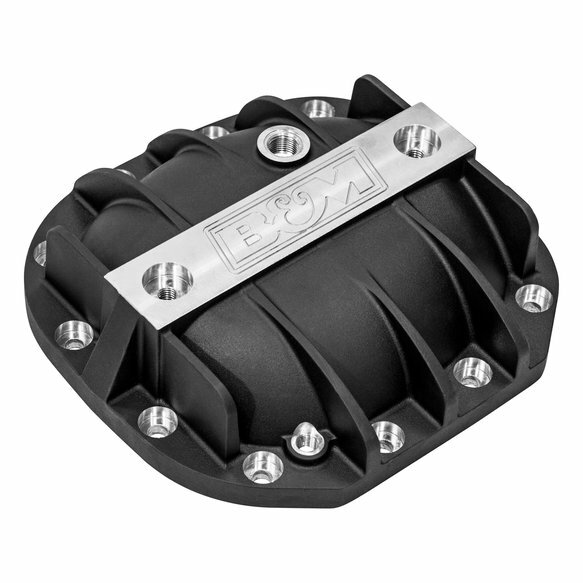 A larger pan depth also increases fluid capacity by 1.13 quarts which helps dissipate heat faster and aids in prolonging the life of your bearings, gear oil, ring & pinion gears and more. 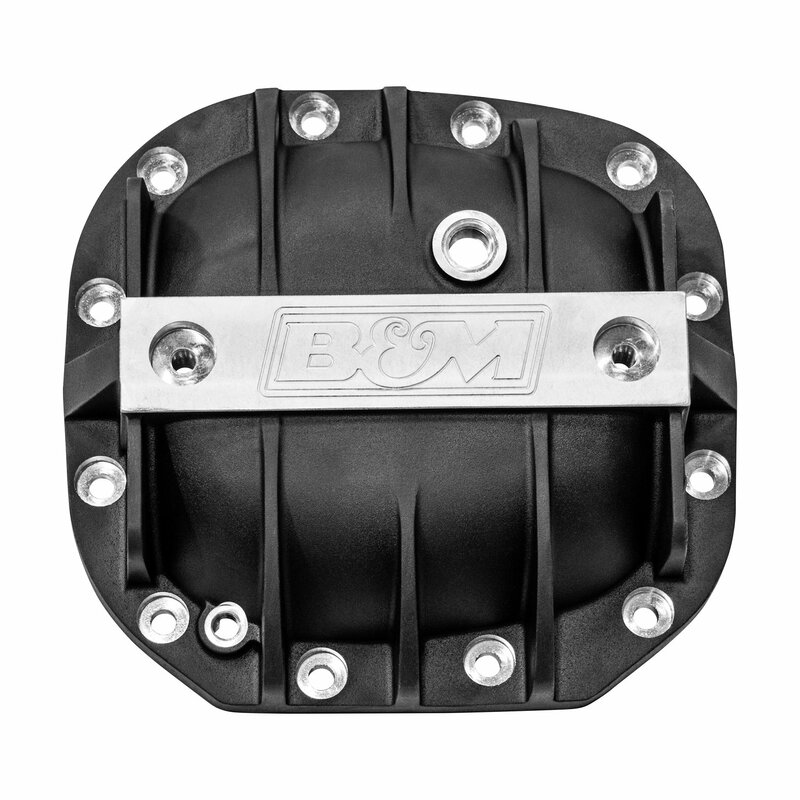 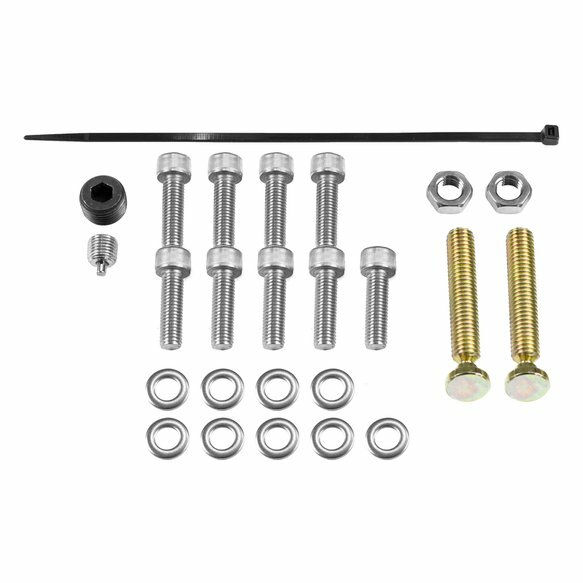 Additional features include load bolts providing additional support to eliminate bearing cap deflection, an engraved B&M logo, and complete hardware and installation instructions.